OM VISA Consultancy - Global Immigration, Students, Visitor, Business & Work VISA Consultants: A Dream of higher studies in USA in the The fastest growing School of Engineering in the nation and the largest graduate engineering program in Connecticut, best opportunity for research based Engineering careers in America at University of Bridgeport with a reasonable fees and Scholarships on Offer with the help of OM International, 18 year old oveseas education visa consultancy service provider in Western India. 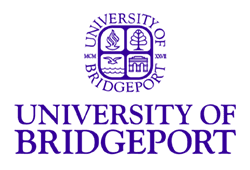 A Dream of higher studies in USA in the The fastest growing School of Engineering in the nation and the largest graduate engineering program in Connecticut, best opportunity for research based Engineering careers in America at University of Bridgeport with a reasonable fees and Scholarships on Offer with the help of OM International, 18 year old oveseas education visa consultancy service provider in Western India. UB’s Graduate School of Engineering is one amongst the 50 School of Engineering in the US that has a Research Doctoral Degree out of the 250 Schools of Engineering that offer Bachelor, master & Ph.D. courses. With over 50 million dollars as endowment and 14 Million dollars in Research Grants UB’s School of Engineering ranks higher than some Universities. U.S. News 2014 ranked UB’s IT program 11thbest in the nation. UB ranked 29thin both the online bachelor’s and graduate engineering categories. GPA: 3.0 on a scale of 4.